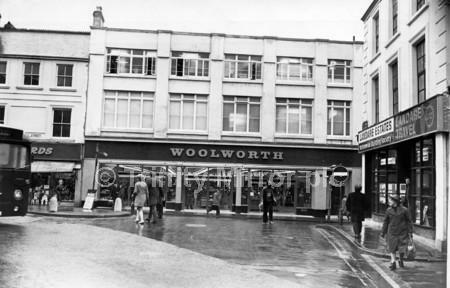 Woolworths opened in Salisbury in 1927 and it was originally at 55 – 59 Silver Street (right side, centre in the below photo). 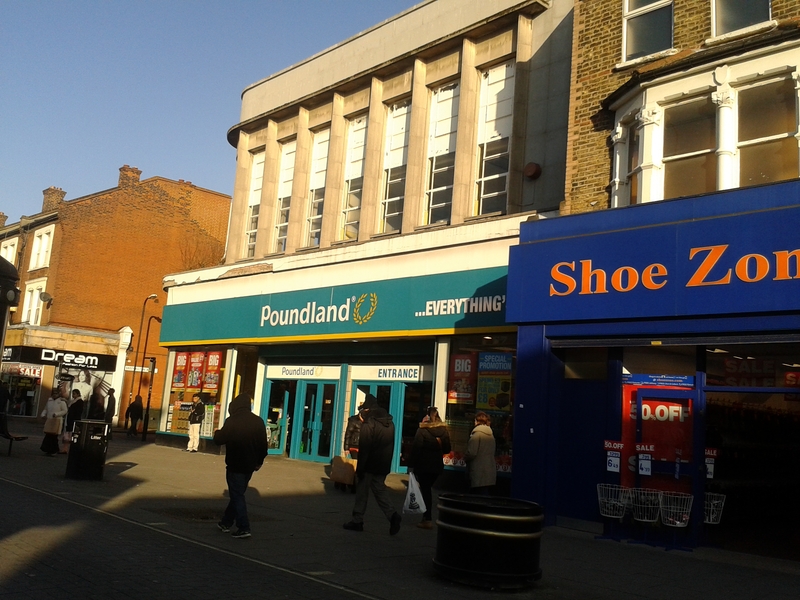 On the right here, the fascia has been changed to just ‘F.W. 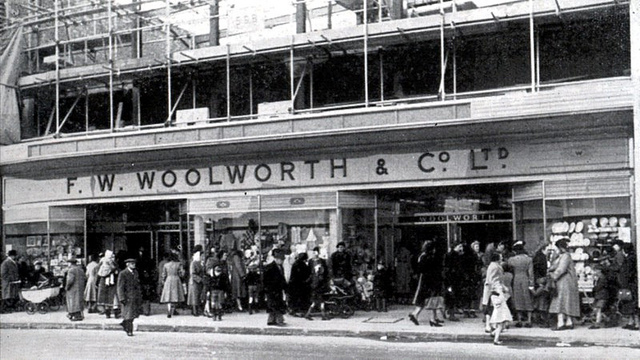 Woolworth & Co Ltd’ centred. 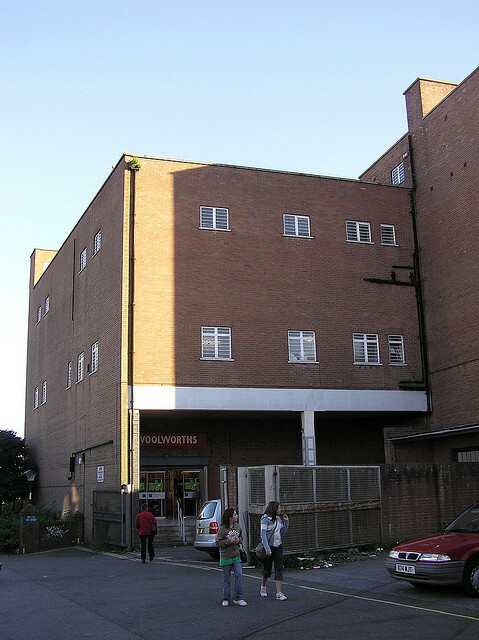 The frontage looks quite large in this photo, with three entrances. 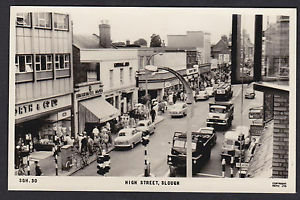 They moved to the High Street in the 1957, and this photo shows the Silver Street store vacated with posters signposted the new location. This is the interior vacated but it is interesting to see the layout of a traditional old-style store with the individual mahogany counters, and the hanging lights. 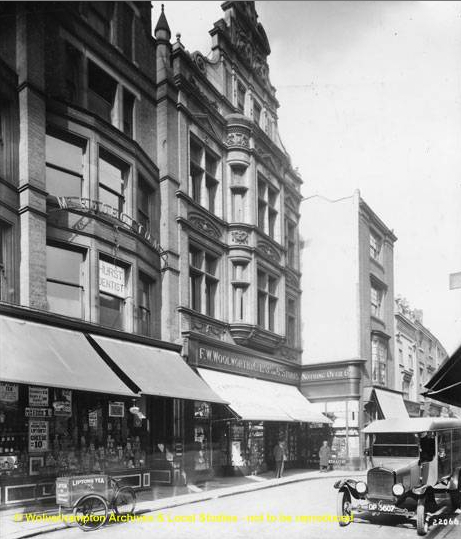 Today the Silver Street building still exists and it houses the Real Eating Company, Ecco and Holland & Barrett. 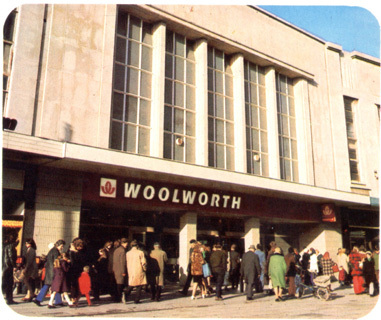 Actually this explains the three entrances, if it was originally three shops put together to make a Woolworth store – and then put back to three shops. 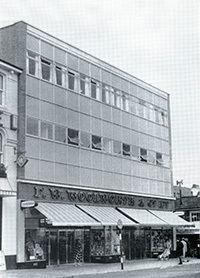 In 1957 Woolworths moved to a purpose-built store on the High Street, somewhere to right of the Crown Hotel in this photo. This is a more recent photo from 2006 and I absolutely love seeing the wooden window frames above the doors and the peppermint blue on the doors. 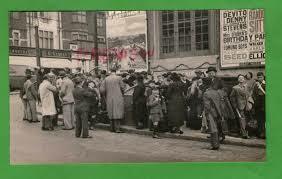 It looks like there was a cafe instore from the A-board outside. 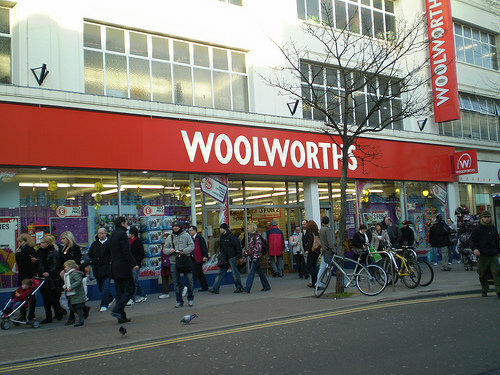 Here is the store shortly before it closed in January 2009. 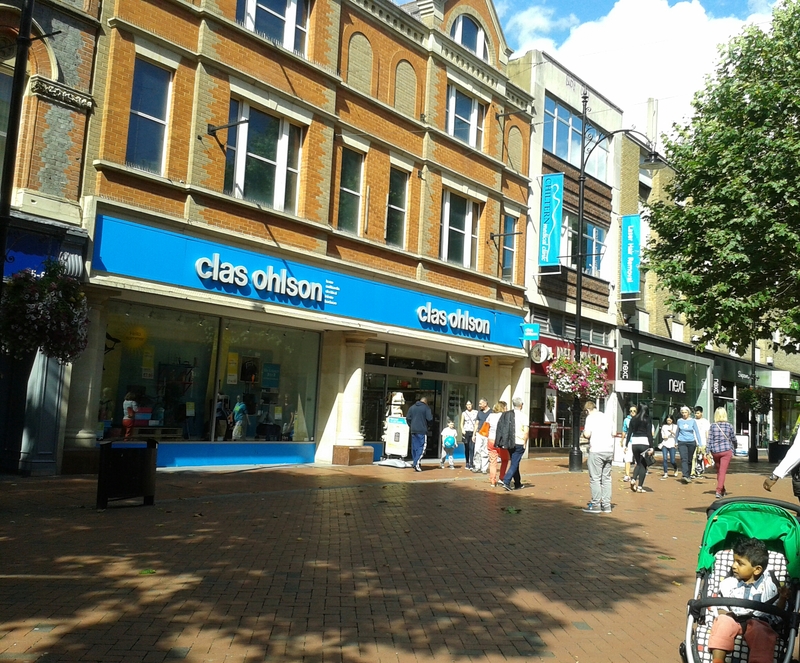 We can see they had a refurb from the change in the fascia and the loss of the peppermint blue on the doors! 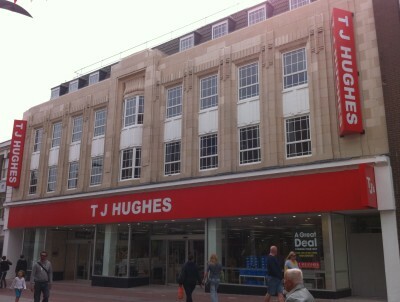 Today New Look trades from the old High Street store and you know what, the windows above the doors are still there and that makes me happy. 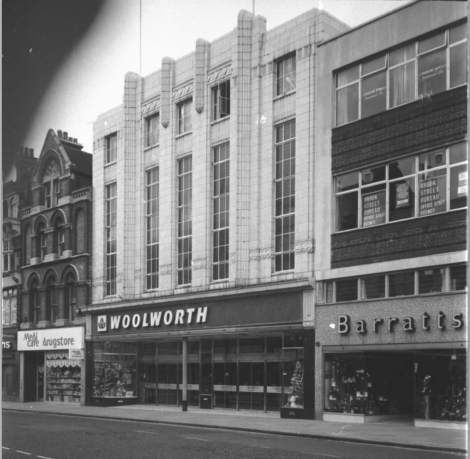 Woolworths opened in Kentish Town in North West London in 1924, on Kentish Town Road. 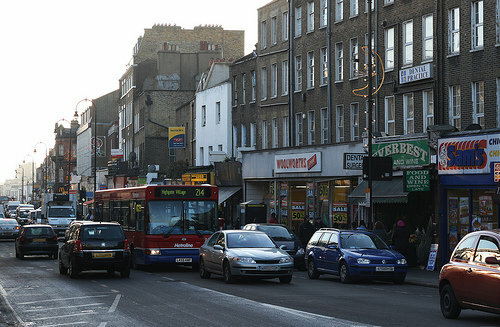 It was located directly across the road from Kentish Town Train and Underground Station. 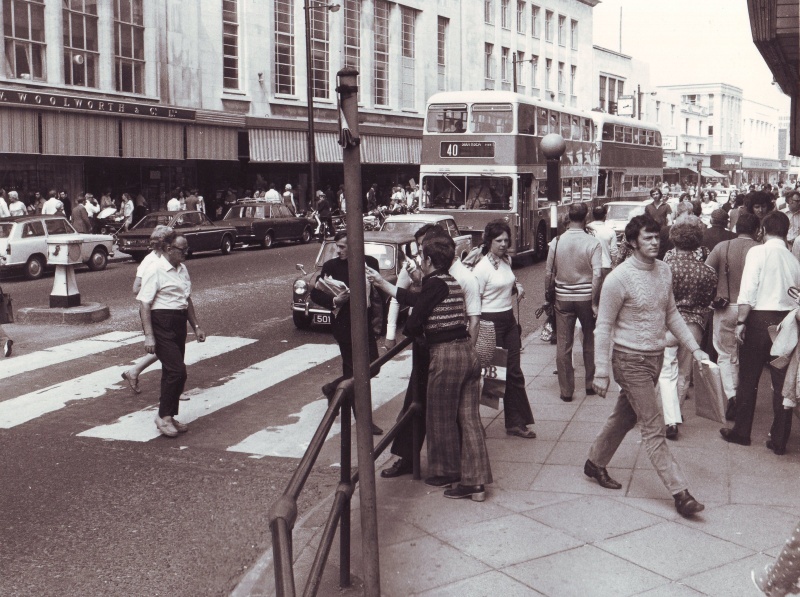 There was a really interesting fascia in the 1970s, with oversized letters. 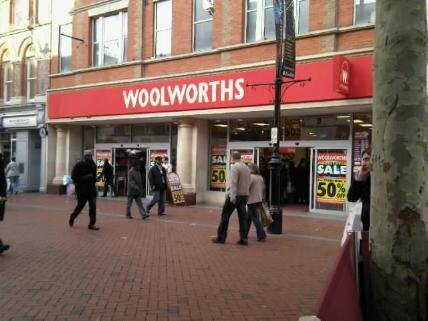 Apparently in 1999 this Woolworths had a £1 million makeover. 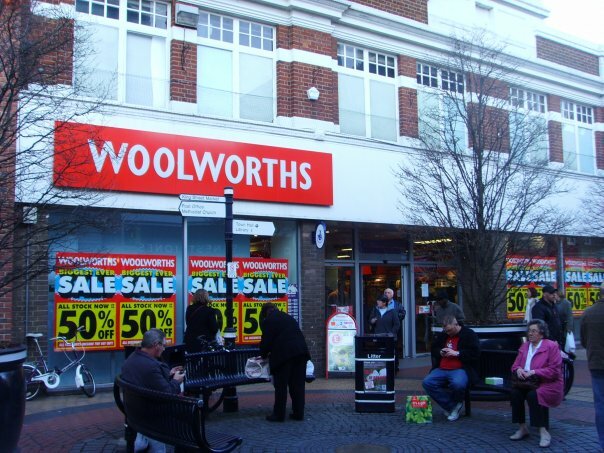 Less that 10 years later the store was to close. 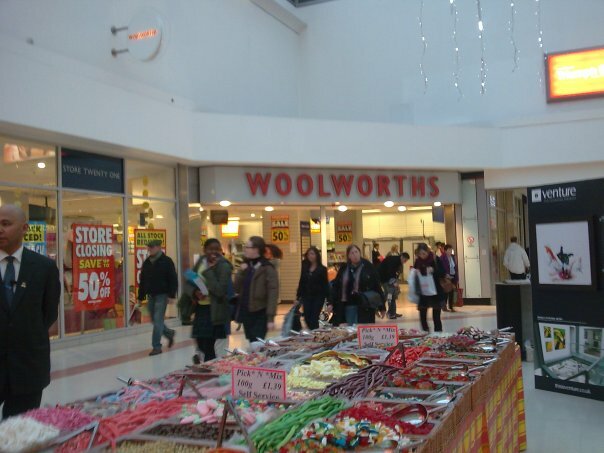 Mrs Govier, who was looking for a bargain in the stripped aisles, said she has shopped at Woolies every week for most of her life but hadn’t been able to visit recently and was shocked at the state of the store. 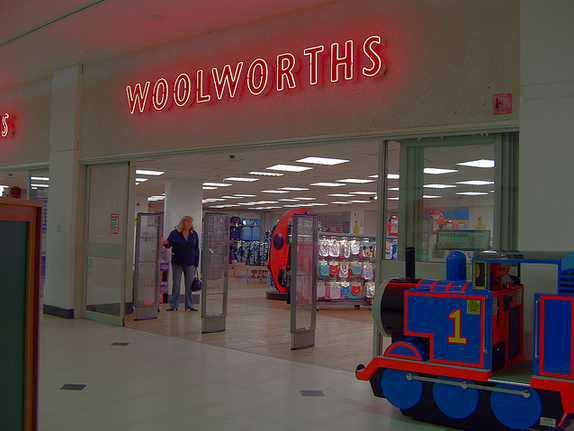 It closed in December 2008. 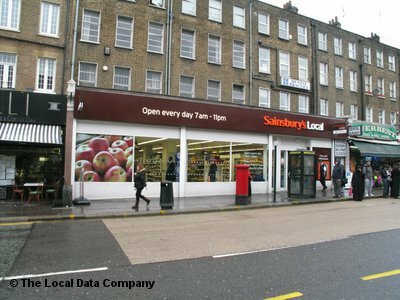 In August 2009 a Sainsbury’s Local opened here, which still trades today. 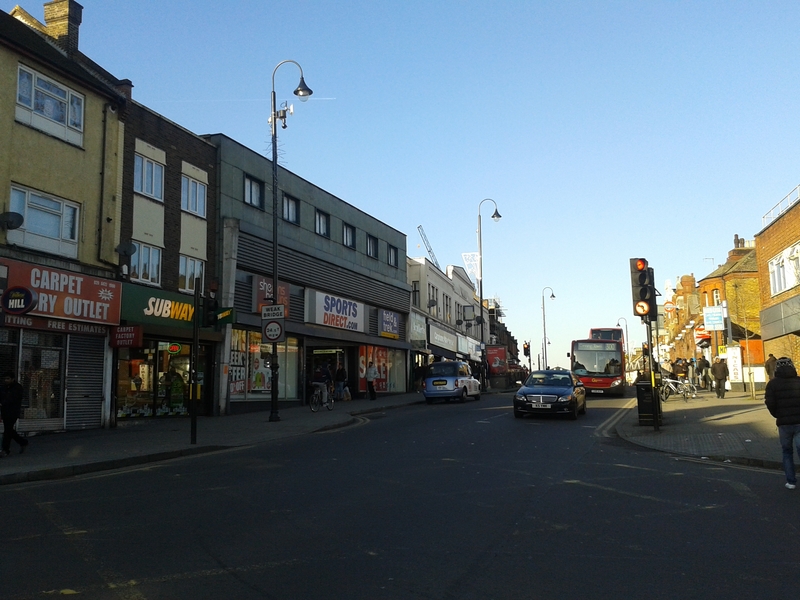 It is one that I visited many times when I worked down the road from here. 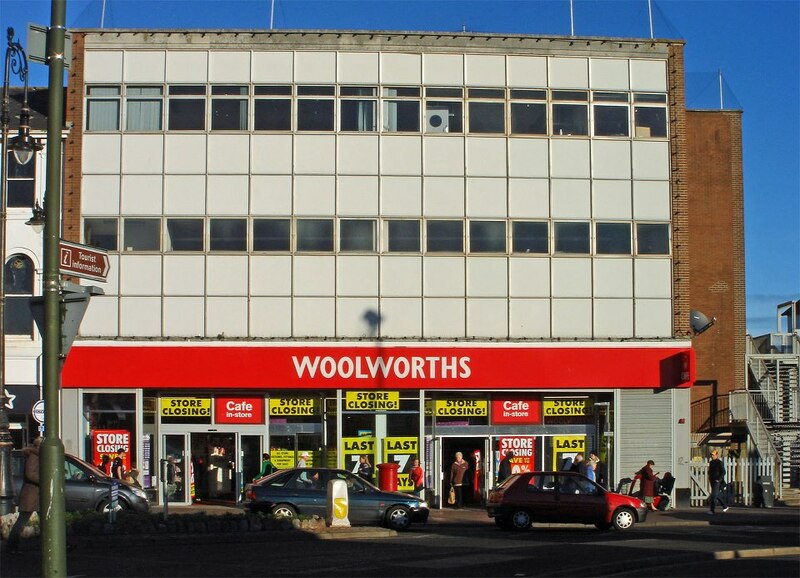 There is actually no remnants at all of it being a Woolworths! 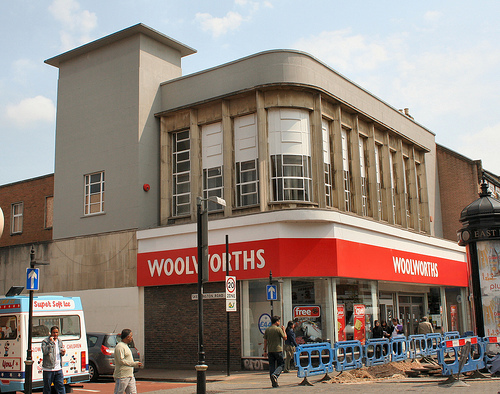 Woolworths opened on Redhill High Street in 1924, two doors down from a public house (The Junction). 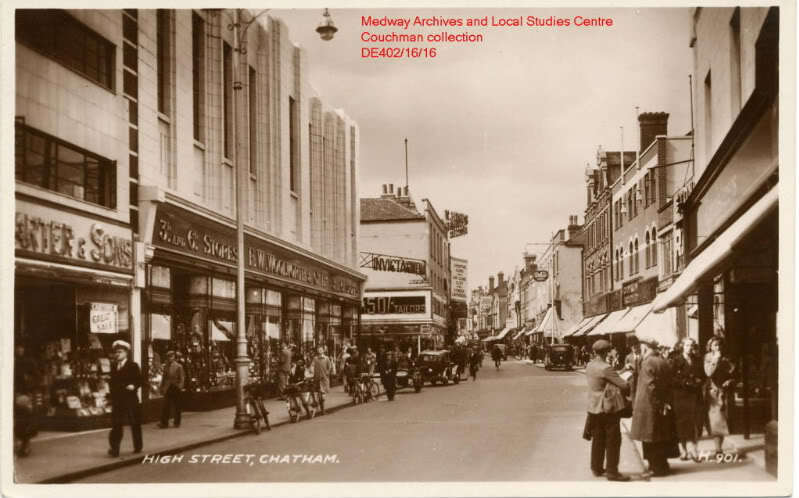 You can see it below on the left side of this 1933 photo, the second shop in. 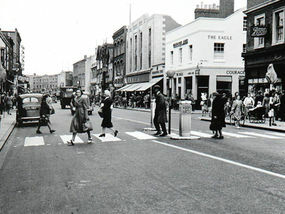 Here is a later photo from 1955, from another angle. 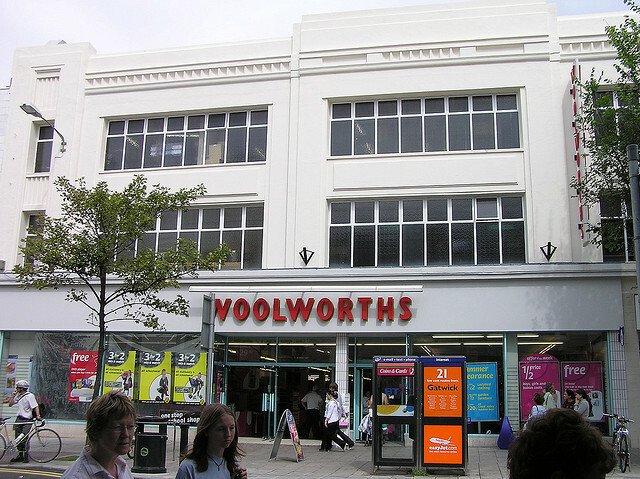 Woolworths is on the right side and unchanged from 1933. 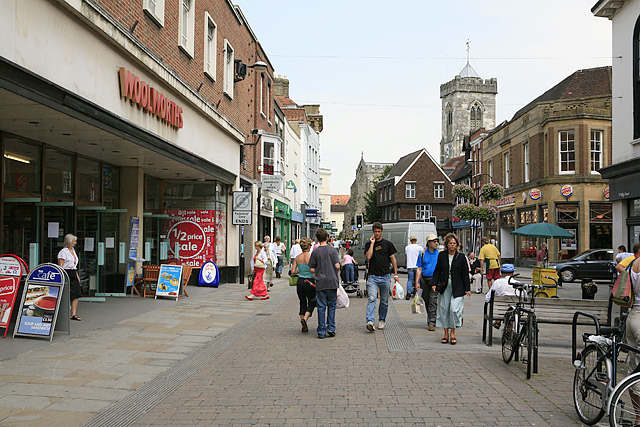 There are no more photos on the internet, but they expanded into the shops next door, so it spanned from 3 – 7 High Street. 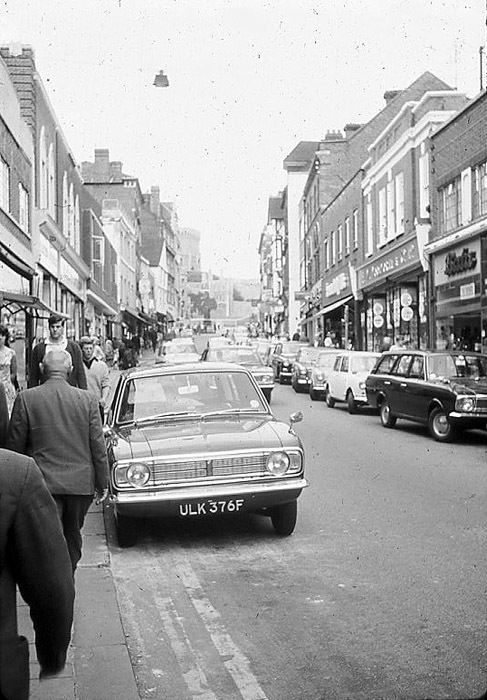 I would guess this happened in the 1970s when the high street was redeveloped. 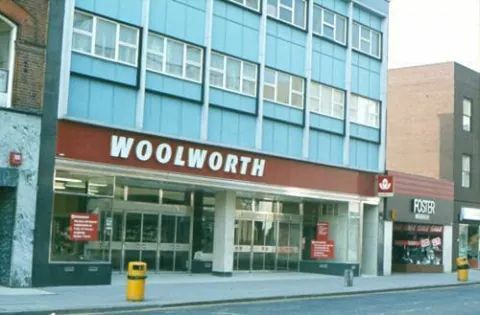 In the 2000s, Redhill Woolworths was chosen to be a 10/10 trial store, which meant trying out the blue and red fascia and ‘ Woolworths’ in lower case as seen below. Personally I never liked this look. 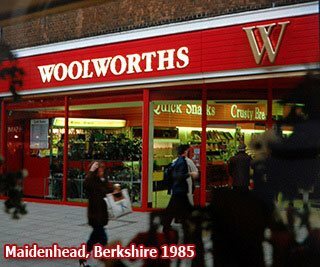 It was also a ‘Christmas store’ when head office would mock up what Christmas would look like instore when it was actually July. 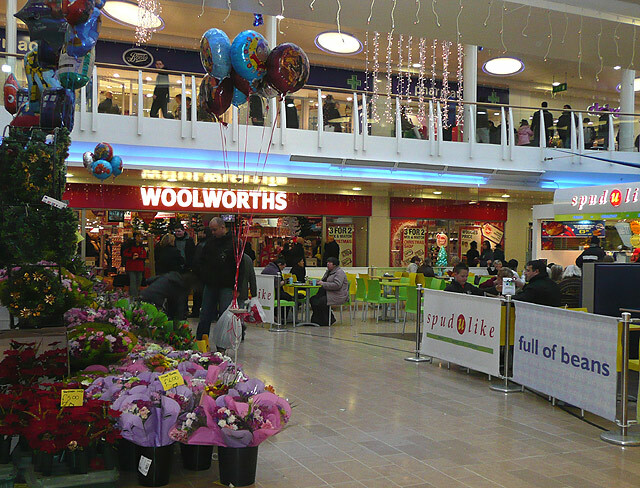 Here it is on it’s last day of trading, 27th December 2008. 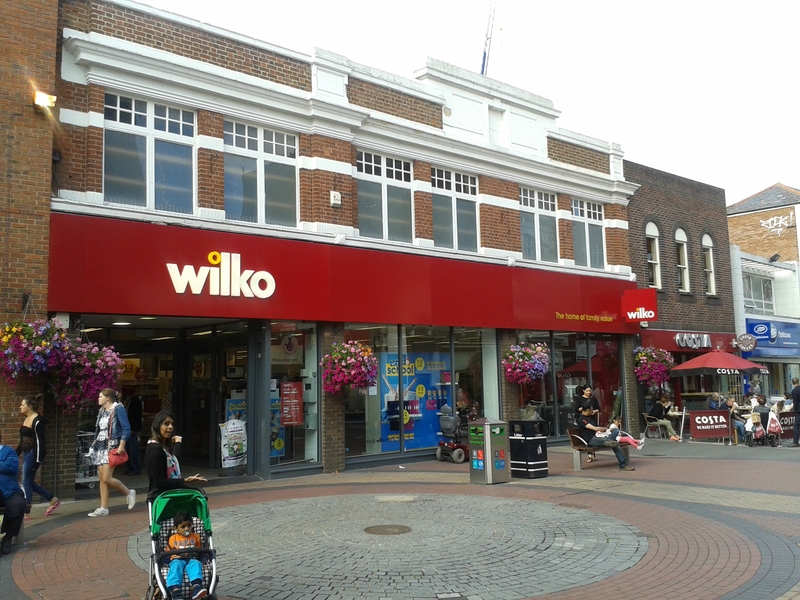 Today the building is occupied by Wilkos, looking a lot brighter now the grime has been painted over! 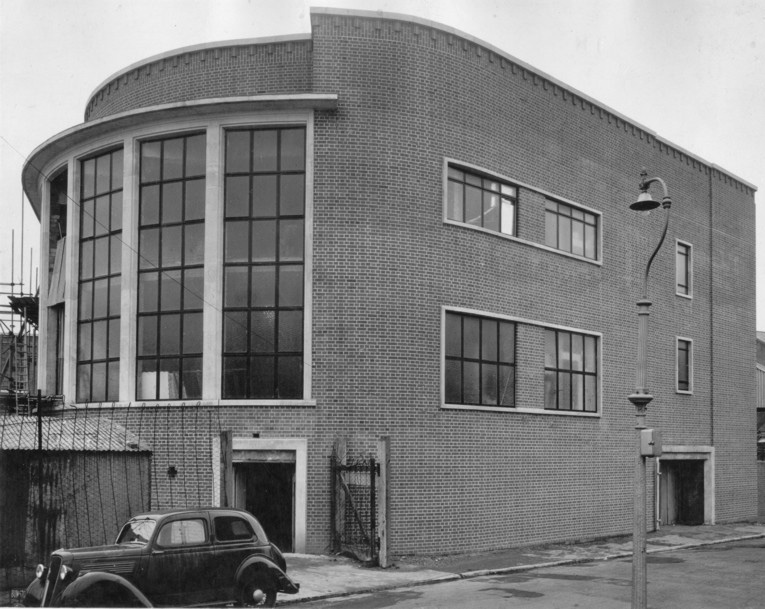 One of the early London stores, this one opened in 1923 in the Bakers Arms district on Lea Bridge Road, with a striking Art Deco facade. 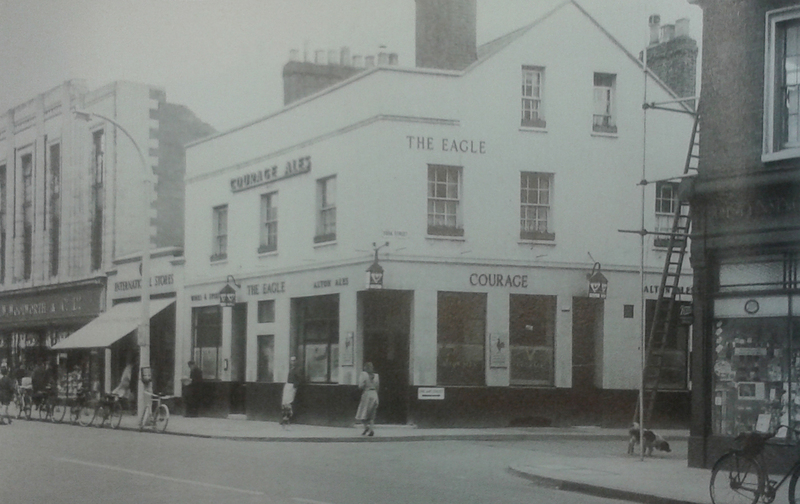 It was an L-Shaped store with the main entrance on Lea Bridge Road, and a smaller side entrance on the High Road. 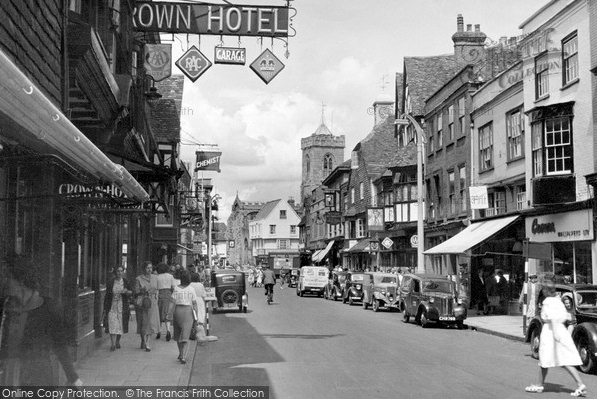 In these photos taken in 1939, the windows had been neatly taped up for safety, to prepare for the war. 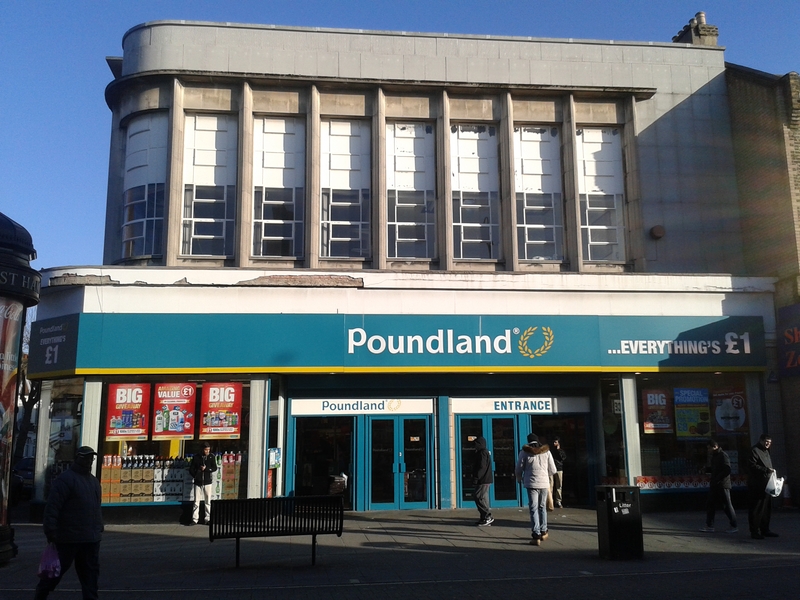 As a result, both frontages stayed intact during the blitz. 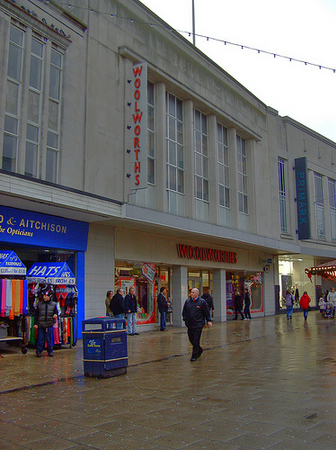 Somewhere along the line you can see the Woolworth fascia got a sixties makeover, just looking at the typeface used. 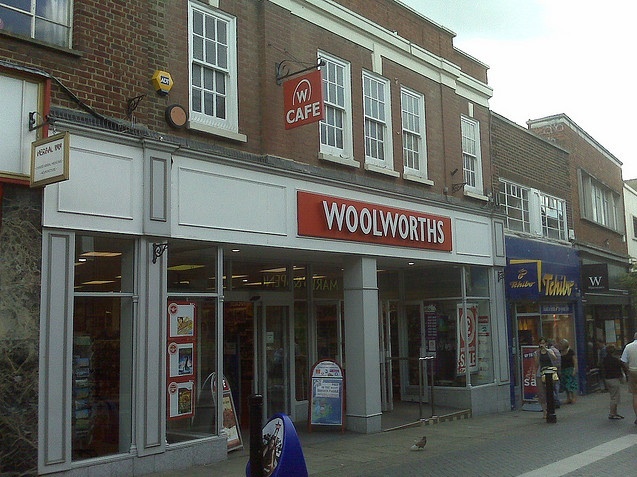 In the 2000s, this was one of the stores chosen to be a general store, and had it’s store number renamed from 129 to 2024. 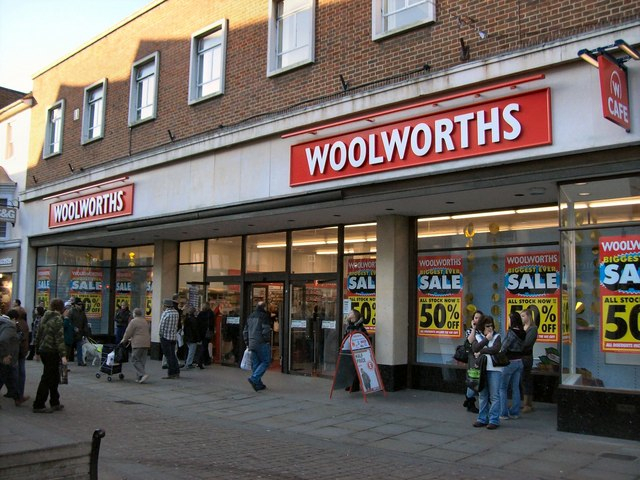 Then it was tranformed back to a normal Woolworths until its closure in December 2008. 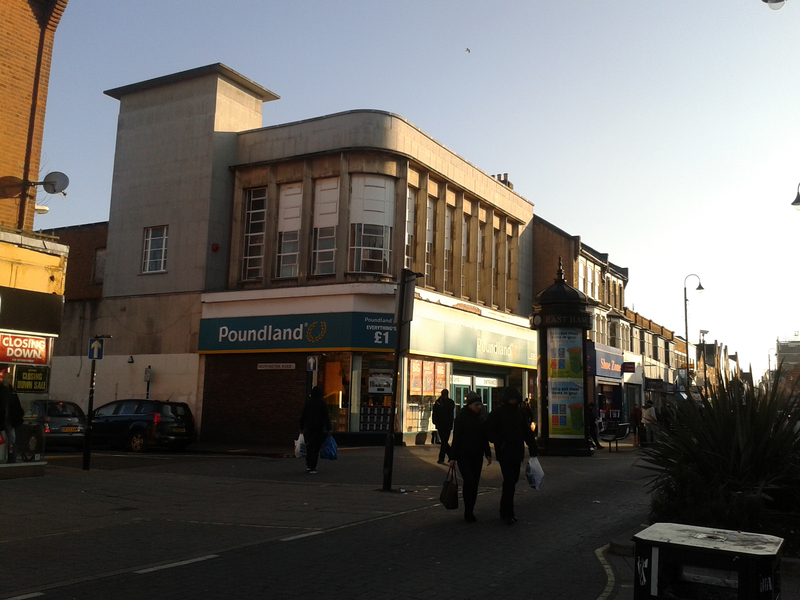 Today the main part of the building is an Iceland, and it is pleasing to see the Art Deco facade remains. 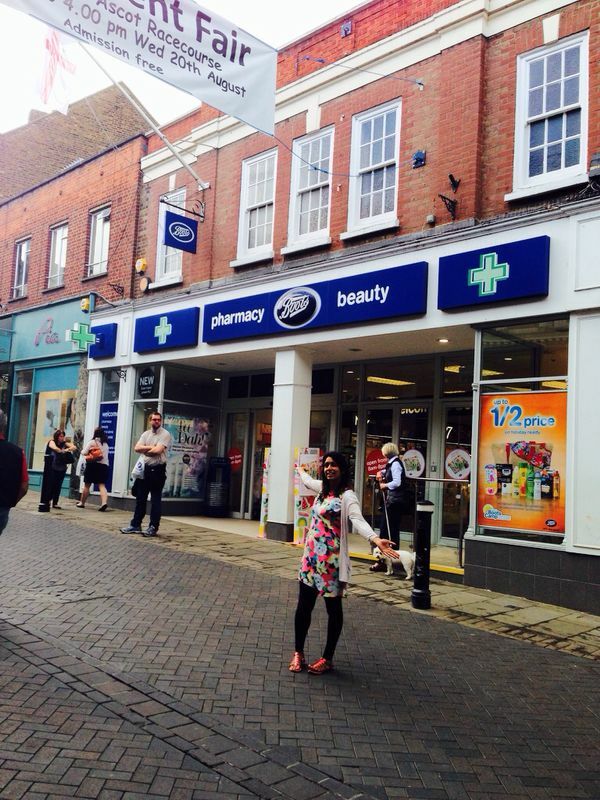 The High Road side entrance is now a Greggs. 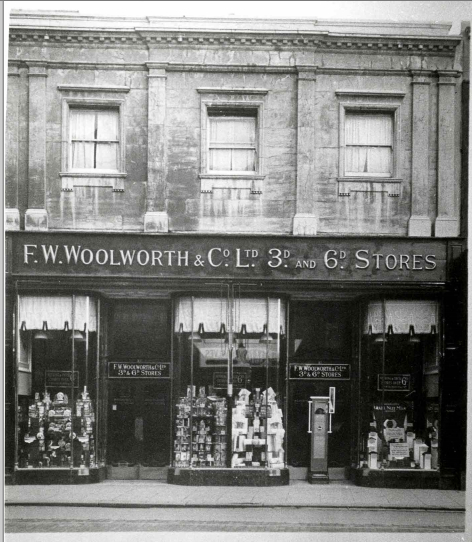 One of the very early stores, Woolworths opened on Chatham High Street in 1913. 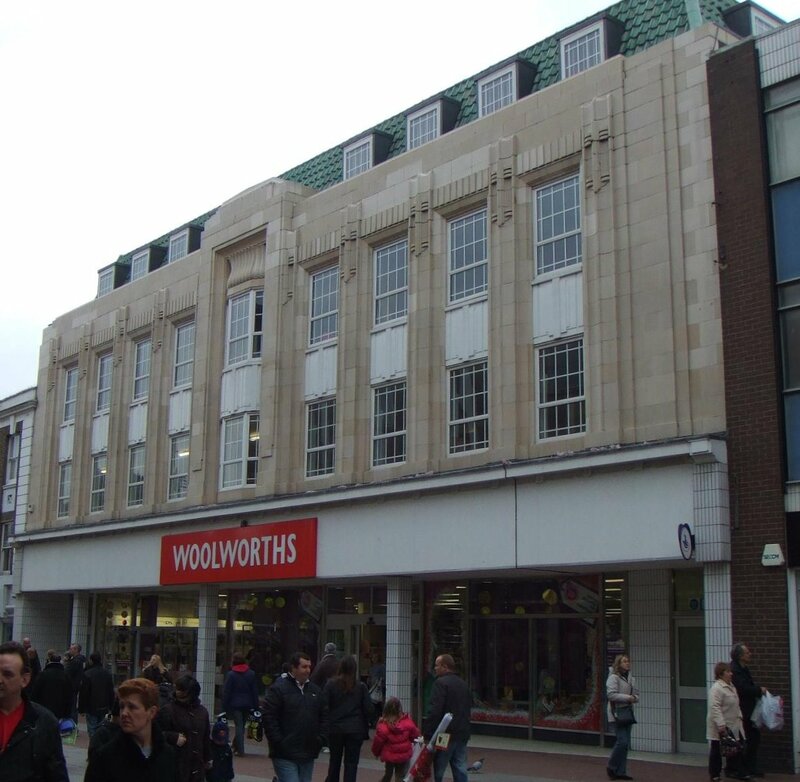 There aren’t any photos of the original store, and sadly it was one of 26 Woolworths stores that got completely destroyed in World War II. 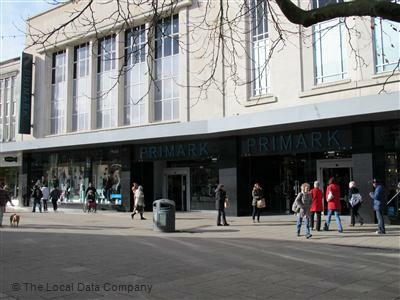 The store closed down in December 2008. 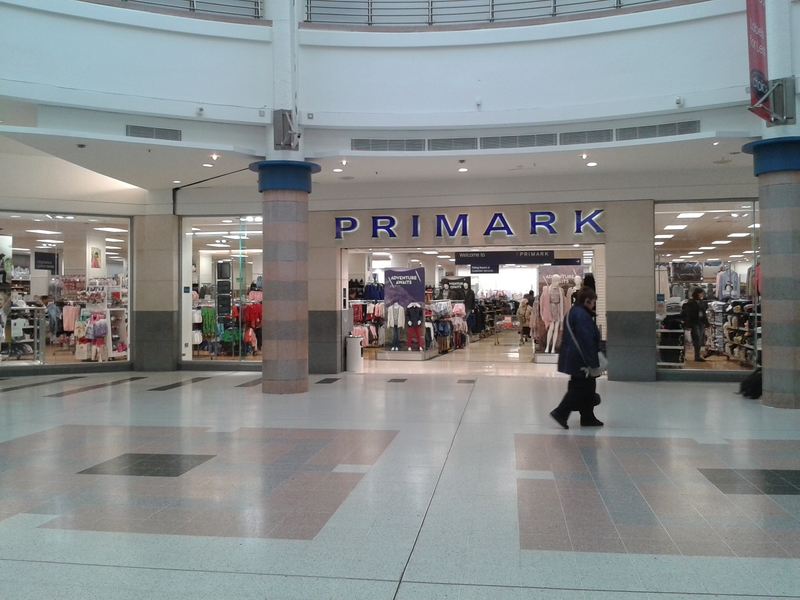 Today the building houses one half of the mega-Primark in Chatham (the other half is in the old BHS building. 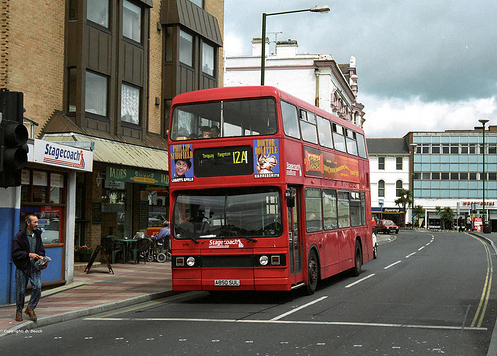 A cafe splits the two, but they are linked at the rear.) 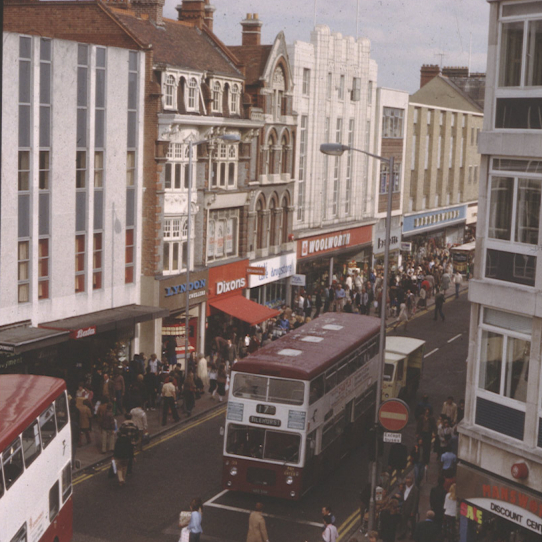 If you’re ever shopping in Chatham, look up and you’ll see a bit of Woolies history there. 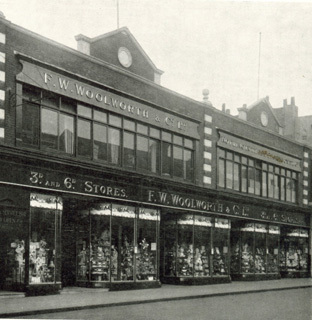 Woolworths’ second UK store opened in Preston, 35 miles north of Liverpool, on 5th February 1910. 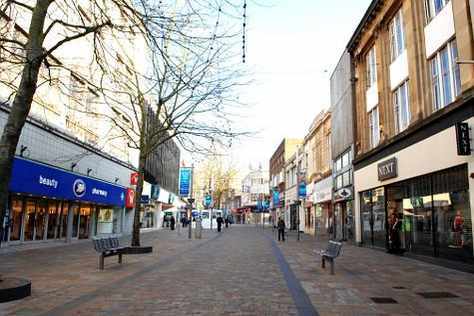 It was chosen because it was a market town with fine buildings and affluent factory workers. 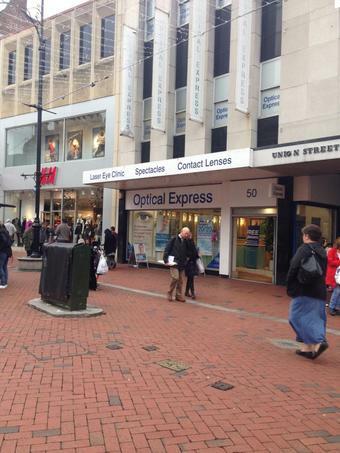 Originally the store was on the junction of Guildhall Street until 1922. 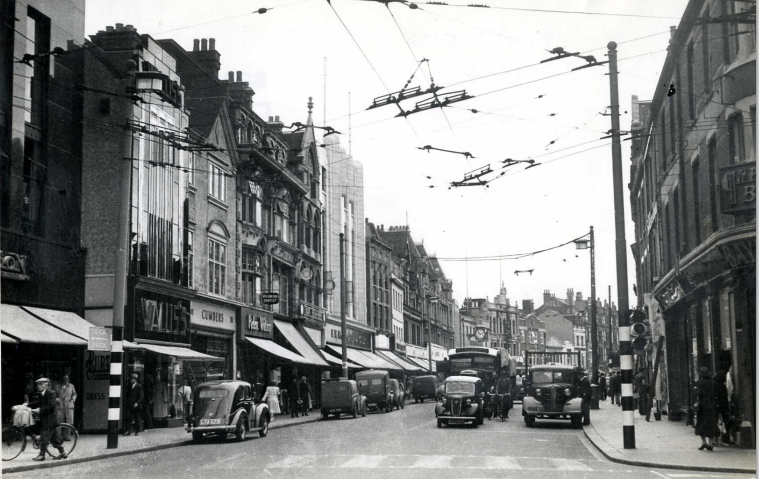 It was in a prominent position at the top of Fishergate, facing the cotton town’s elegant town hall. 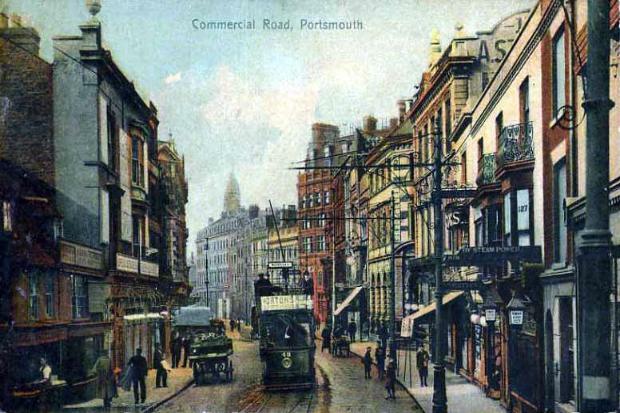 In the below postcard from 1901, you can see the store that Woolworths took over – the one with the hanging lanterns. 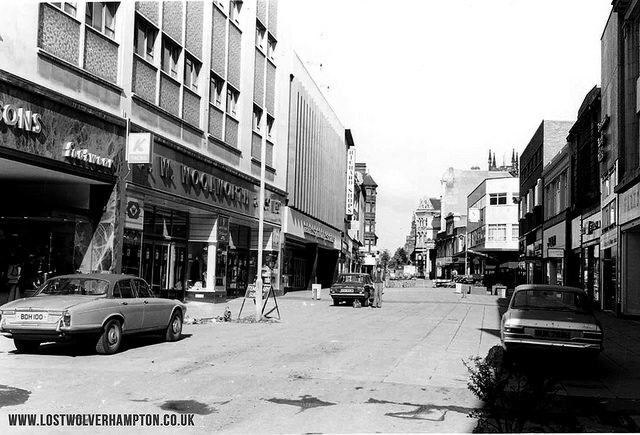 Today the building does not exist. 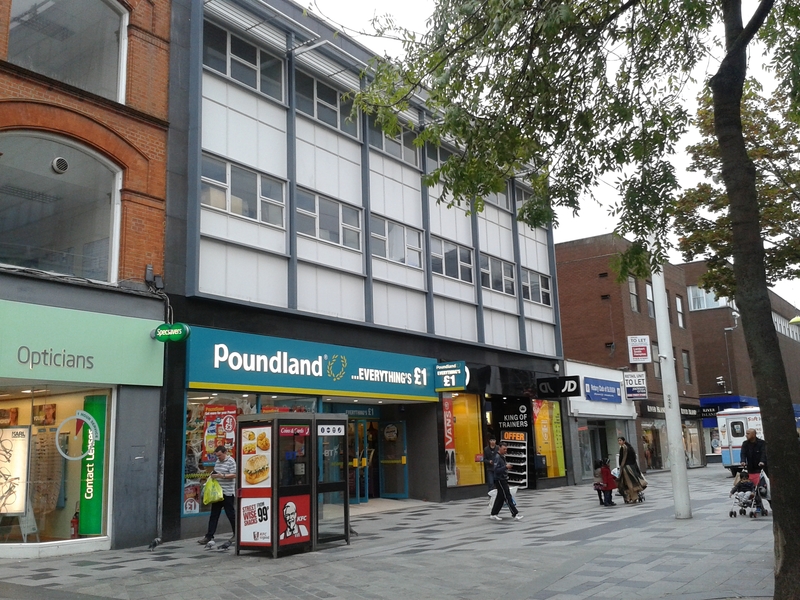 A plain-looking building housing Mountain Warehouse and HMV is in its place (have a look at the photo at the end of this post). 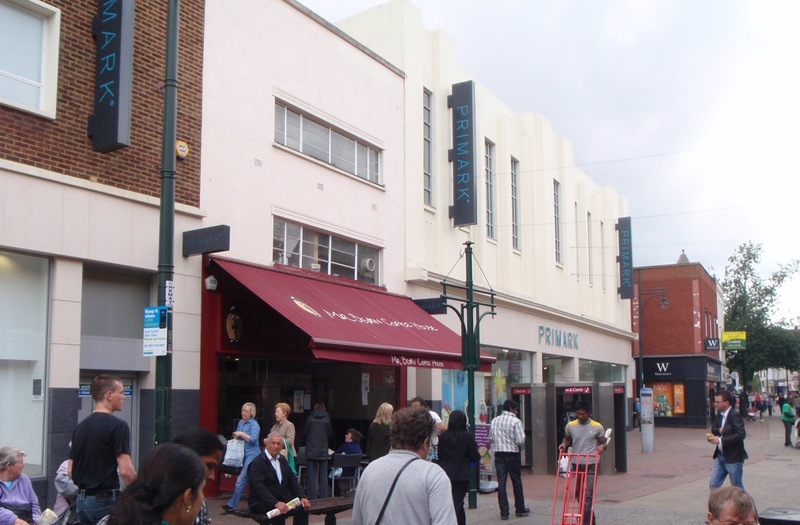 The long queues started to annoy local councillors trying to get to work, so after a number of court battles, in 1922 a larger store was built a few doors down, with a classic Art Deco style frontage. 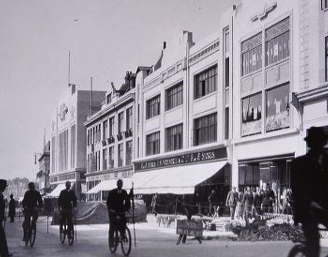 As the store was long and narrow, it was given a strong centrepiece at the top. 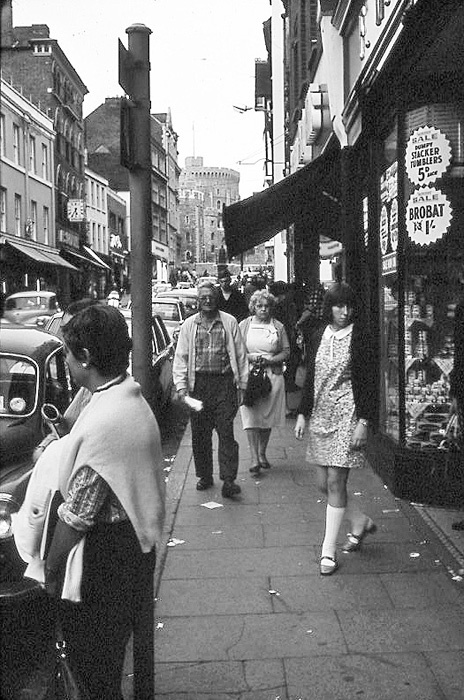 See how busy the store was in this 1960s photo. 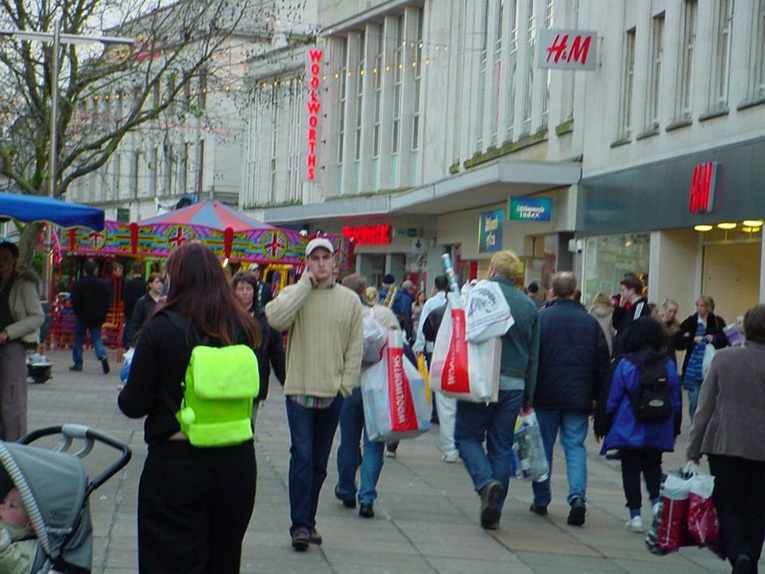 In the mid-eighties, the store was trialed as a Weekend store. 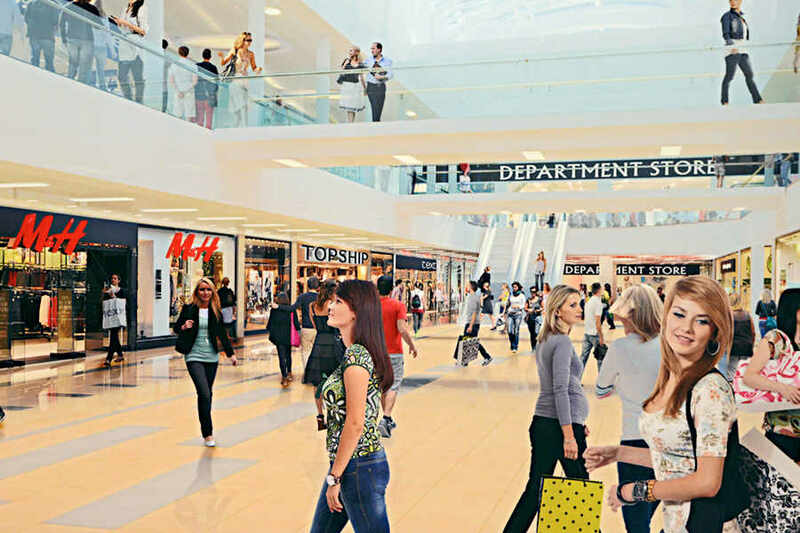 The inside was divided into areas, colour-coded in pastel shades. 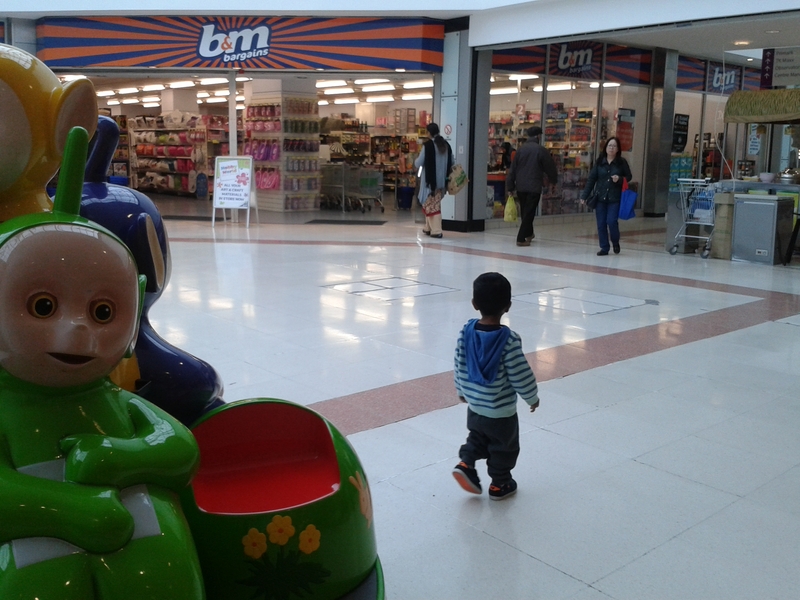 There were circular ‘cash and wrap’ points. 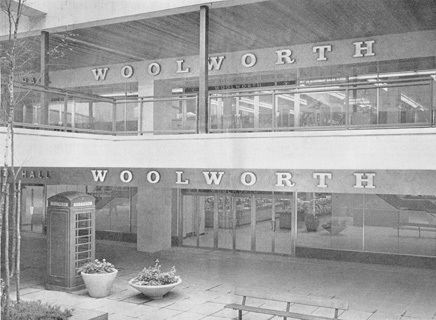 There was a V-shaped lobby, and the door and window-frames were coloured peppermint blue (Source: Woolworth’s 100 years on the High Street, Morrison K.) You can see below the thin blue ‘Weekend’ strip inderneath Woolworths and how the doors go in diagonally to make the V-shaped lobby. 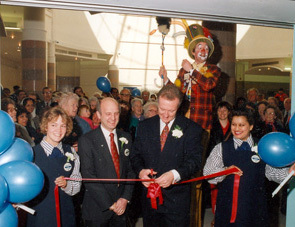 The ‘Weekend’ name was dropped quite soon after, but the V-shaped lobby and peppermint blue window and door frames stayed for over 20 years, until the end in 2008. 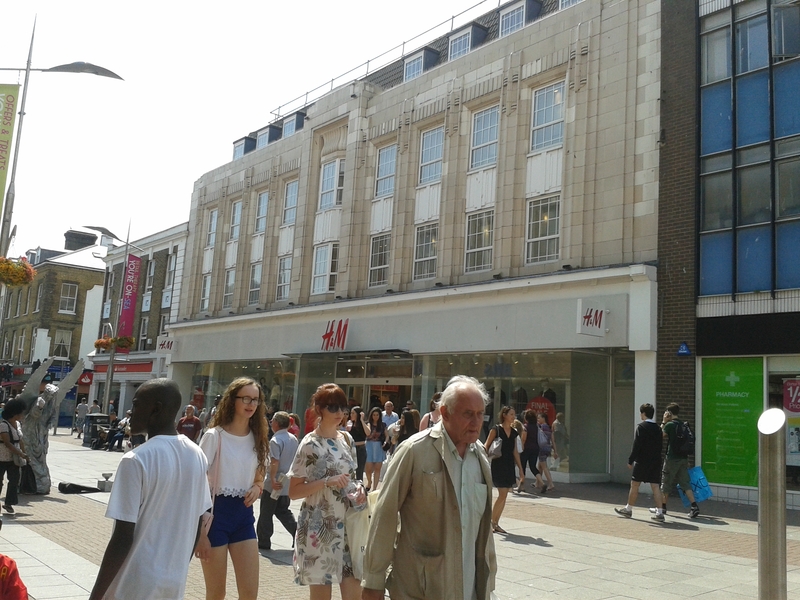 Today Next has taken over the building and the beautiful Art Deco facade remains. 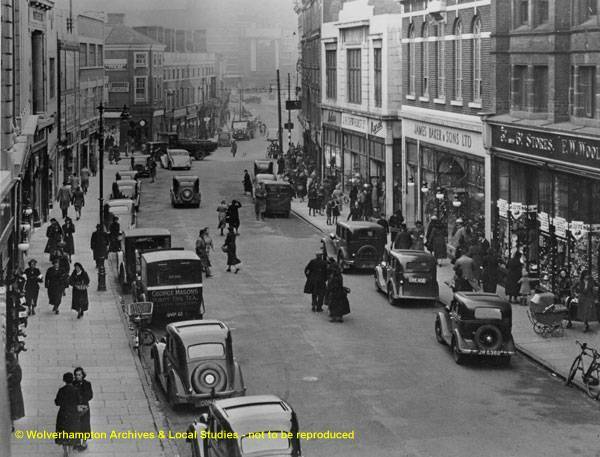 You can see a few shops along are HMV and Mountain Warehouse, where the original Fishergate store was. 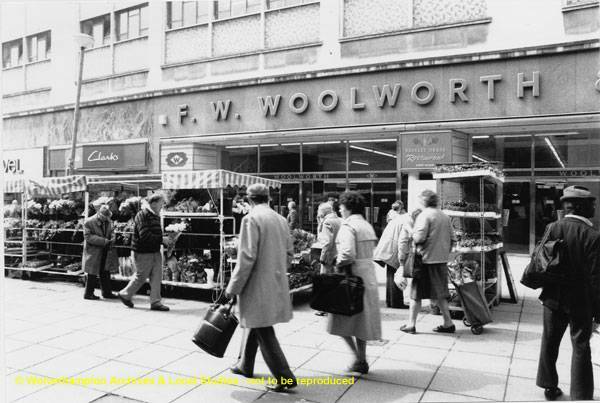 Next time you are shopping along Fishergate in Preston, look up if you go into Next and take in the wonder of Woolworths past! 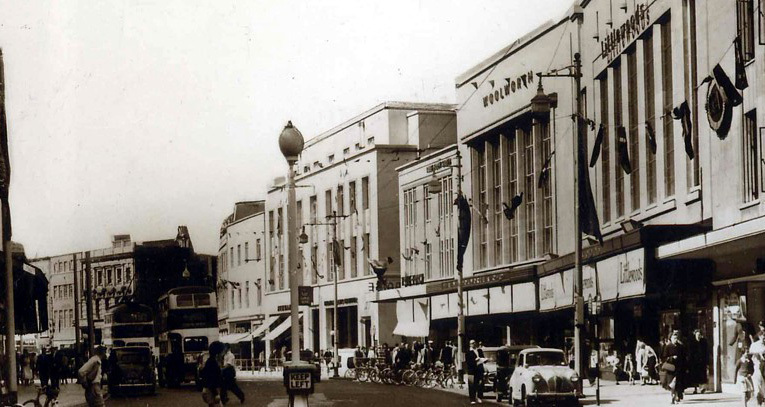 On 22nd July 1932, Woolworths opened in Paignton, ‘the family resort of picturesque Torbay’ as the town is described on vintage railway posters. 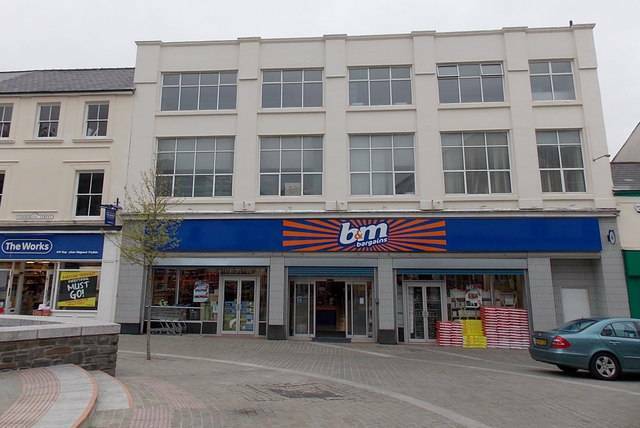 This was 12 years after the neighbouring Torquay branch opened. 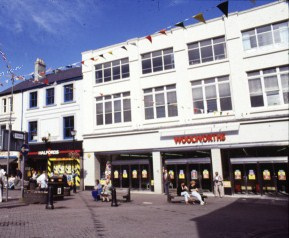 Paignton Woolies opened on the former Dellers Hotel site next to the level crossing at Paignton Station, with the Gerston Hotel on its right. 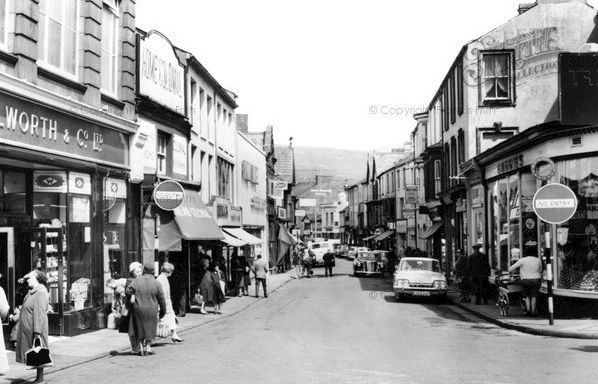 After 30 years, the store had a makeover in 1966 to make it a huge superstore, featuring a cafe and deli upstairs complete with barstools and a big drinks machine! 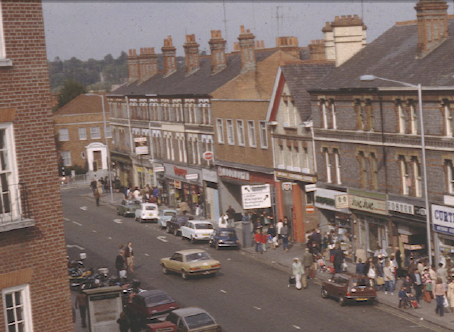 Below is the store in 1977 (in the background), looking the same as the 1966 photo but in colour. 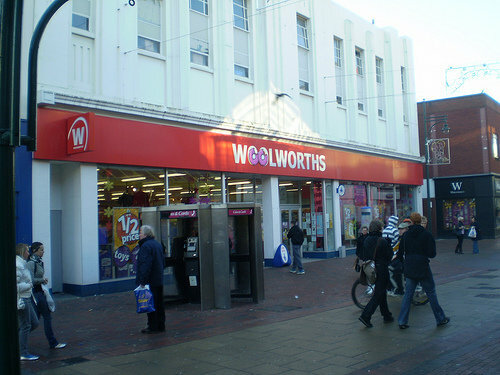 Here is the store in 1998, with the more familiar Woolworths frontage. 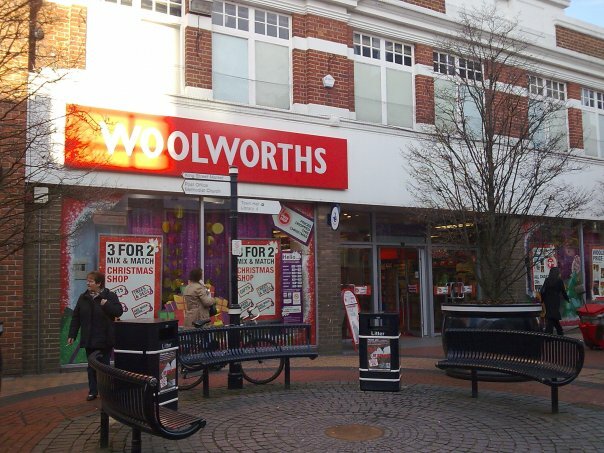 Here is the store just before it closed on 30th December 2008. 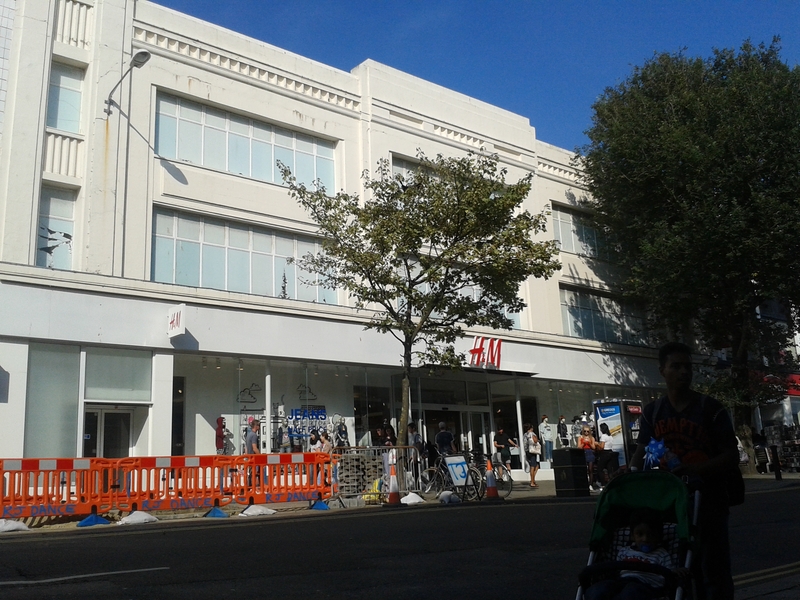 It left a big hole in Paignton, with the building laying empty for nearly a year. 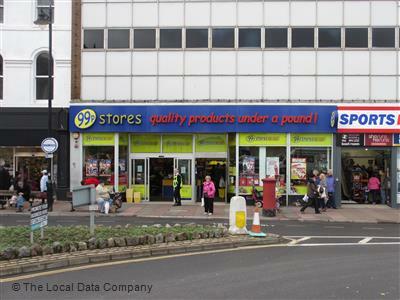 Then on Saturday 12th December 2009, the 99p store had a grand opening – the Paignton 99p Store was the 123rd UK 99p Store and the 52nd ex-Woolworths store to be re-opened by the company. 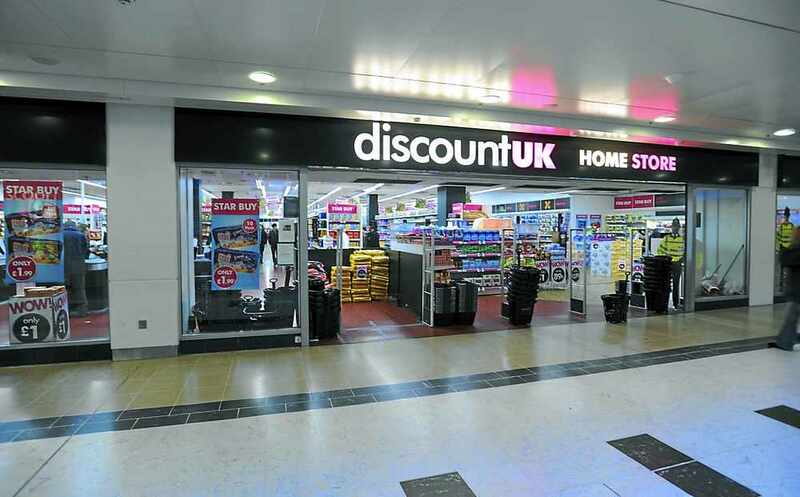 That’s a lot of 99p stores. 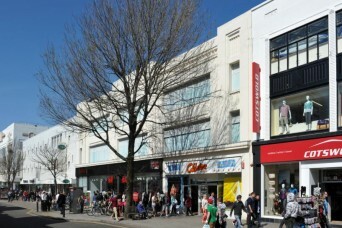 (Source: http://www.exeterexpressandecho.co.uk) The upstairs became a Sports Direct. 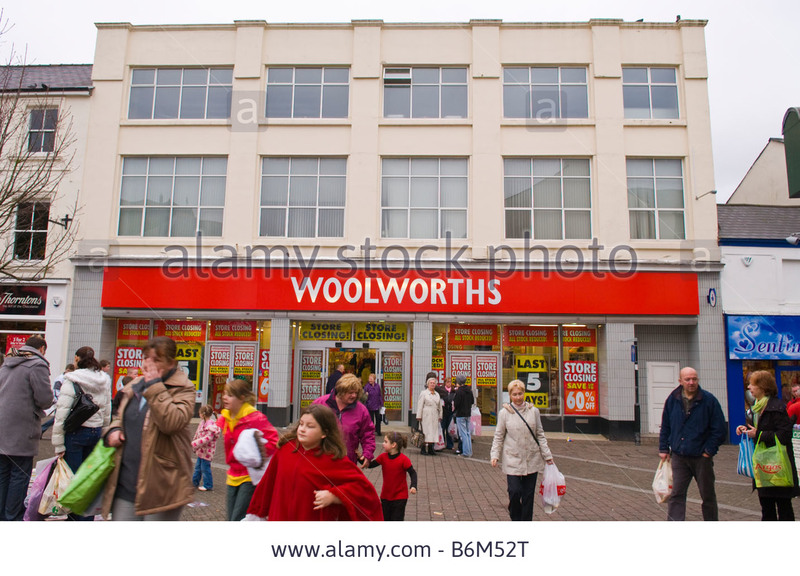 I read on a forum how some locals were disappointed that they got a 99p store whereas neighbouring Torquay got an H&M in their ex-Woolies building! 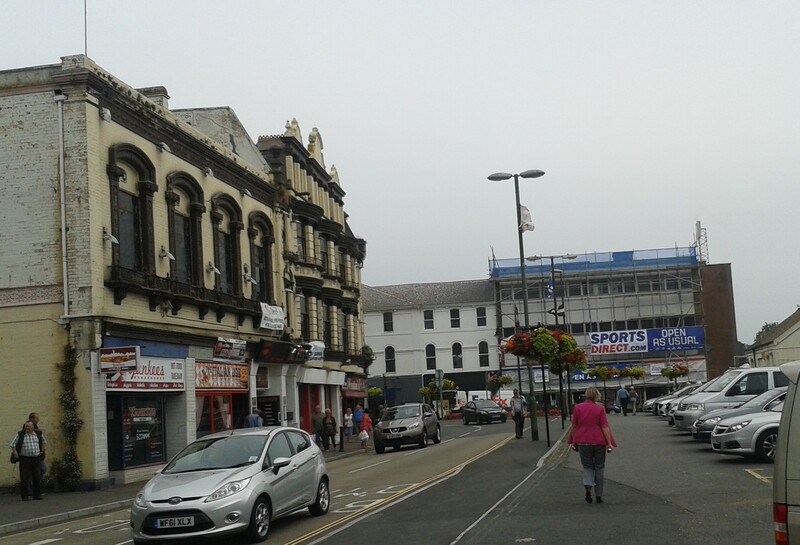 Now when we went to Paignton last week, the building was under scaffolding! 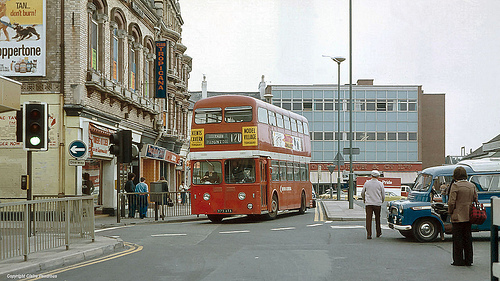 Still I took the above photo to replicate the one from 1977 so you can see the before and after. Below is what it looks like under the scaffolding.